9,946 others viewed this post. ESA reached out to me this week to see if I had any photos of their dish in my archives that we might have passed over. 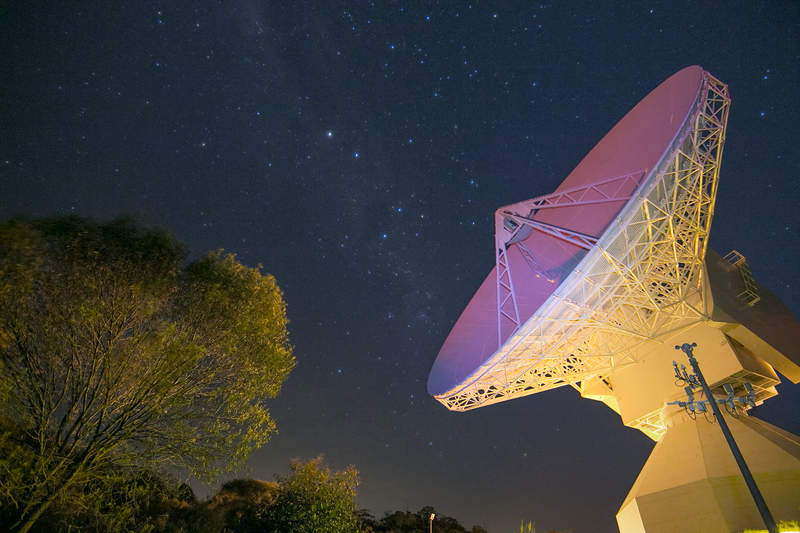 I had a dig around as I took hundreds of shots over 2 days and nights and found this one with the dish illuminated. From memory I shined my laser at the dish briefly and asked the security guards if that was ok. The security guard said it would be fine and started shining his torch on the dish too! This gave DSA1 a really beautiful colour as it pointed to the GAIA mission out there in the solar system, slowly mapping the milky way and measuring star distances and relaying that information back to earth via this very dish. This photo is on the ESA homepage today as their “Image of the Week”!